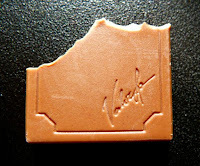 Today was Day #2 of Chocolate and Hazelnut Theme Week. 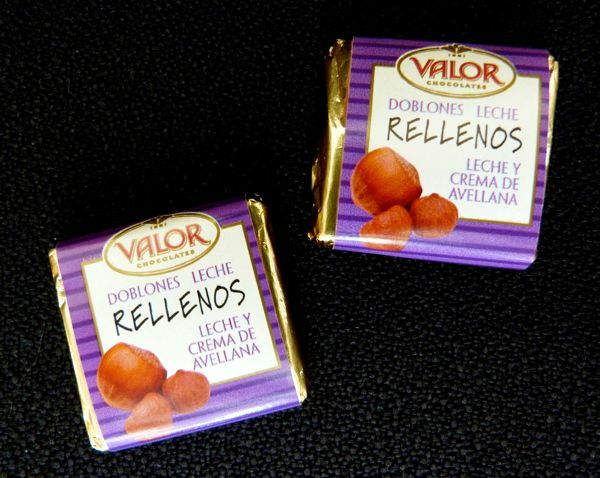 These bite-sized, individually wrapped 37% milk chocolate hazelnut squares (Doblones Leche Rellenos - Crema de Avellana) were part of an assortment pack of chocolates from Valor Chocolates (Villajoyosa, Alicante, Spain). Someday, when I travel to Spain I hope to visit the stretch of Mediterranean coast known as "Costa Blanca" where Villajoyosa ("Happy Village") is located, to visit Valor Chocolate and the Valor Chocolate Museum.